Want to please children and adults alike. 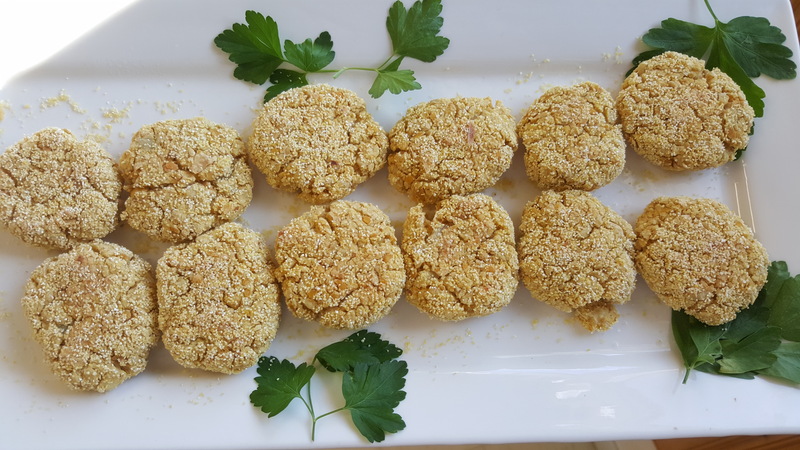 Try Chickpea nuggets! Process the chickpeas in a food processor for a few seconds. Then add all of the other ingredients except the last ⅓ cup corn meal for coating. Process a few more seconds to a chunky texture. Scoop up teaspoon sized mixture and roll them into balls. Smash them into nugget shapes. Pour corn meal into a bowl and coat each nugget. Cover a cookie sheet with parchment paper. Lay each nugget on the parchment but don’t let them touch. Bake for 20 minutes, then flip and bake for 10 more minutes. Allow nuggets to cool before eating.